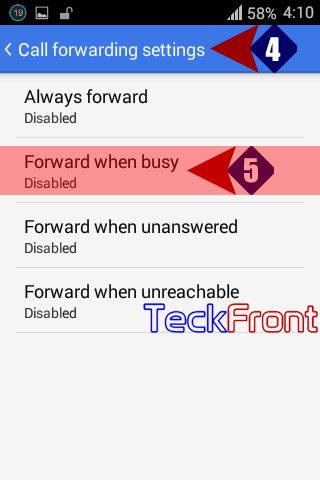 How to Set Call Forwarding When Phone is Busy in Android KitKat 4.4.3? Call forwarding is mostly needed when your phone is busy as you are busy on other number. In this situation it is advisable to forward the call to some other number. Command Line: Phone Dialer > Settings > Call settings > OTHER CALL SETTINGS – Call forwarding > Call forwarding settings > Forward when busy. 1: Tap the ‘Phone Dialer’ to open up the phone dialer screen. 2: Tap the ‘Settings’ button, available in the right bottom corner of ‘Settings’ screen. It will pen up a popup menu. 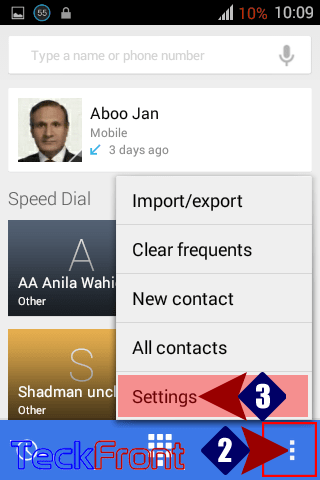 3: In the ‘Settings’ menu popup, tap the ‘Call settings’ to open op the ‘Call settings’ screen. 4: At the ‘Call settings’ screen, tap the ‘Call forwarding’ to open up ‘Call forwarding settings’ screen. 5: Here, at the ‘Call forwarding settings’ screen, tap the ‘Forward when busy’ to open up a prompt. 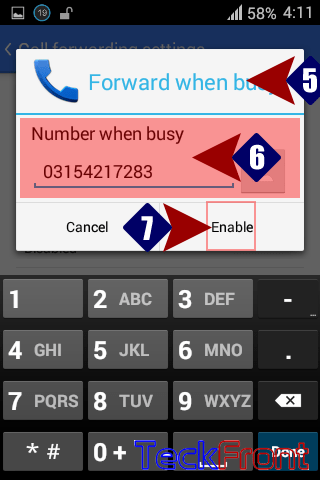 6: In the prompt, write / type the contact / phone number which you want to be used for call forwarding when your this phone number is busy. 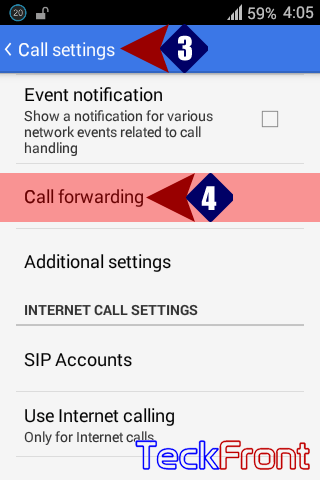 Newer How to Set Call Forwarding When Unanswered in Android KitKat 4.4.3? 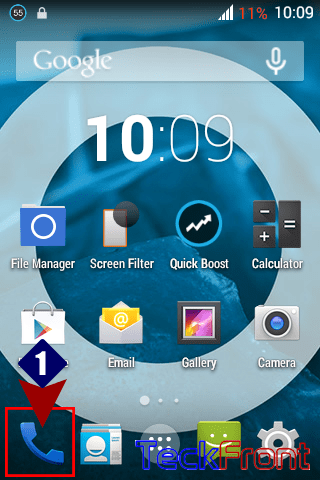 Older How to Set Call Forwarding for Always on Android KitKat 4.4.3 Phone?